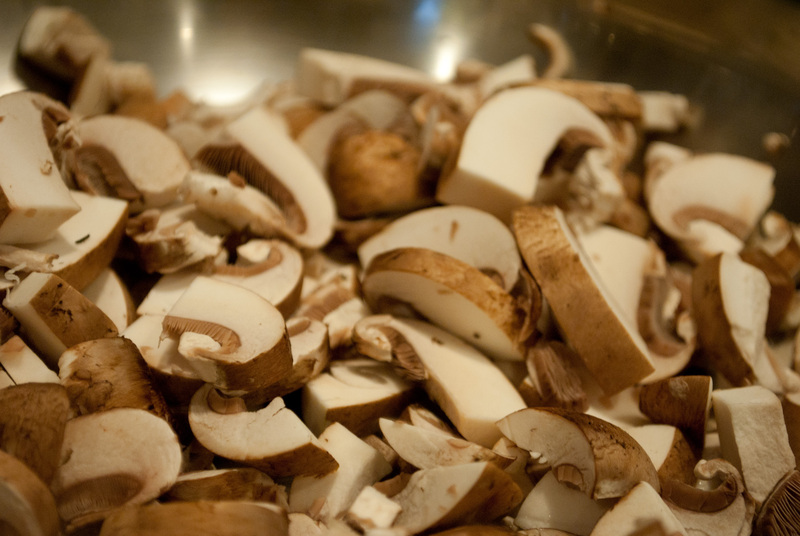 i (heart) mushrooms | gluten-free glory! …especially these baby ‘bellas. I pan-fried them in their own juices, then added some vinegar-y shiraz and let ’em go crazy. They went into a simple tomato sauce (courtesy of Alice Waters in The Art of Simple Food), along with some eggplant, zucchini, and yellow squash. I made pizza with it first, then pasta, then more of each. It was a very tasty staple for almost two weeks! Hey Lynnae whenever I post I need you edit what I write because yet I am not good with wrting post .